Q: What are all these papers? 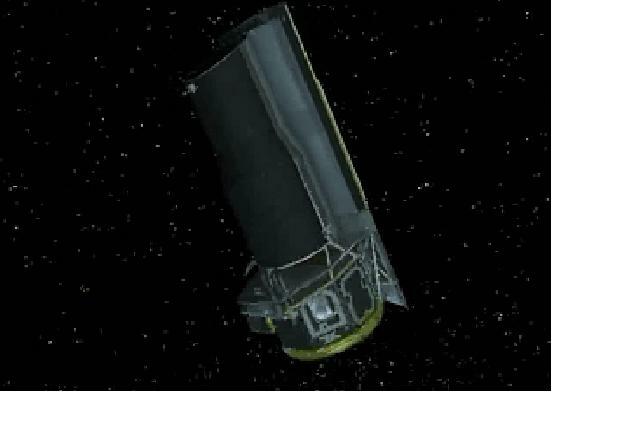 Q: Why use an infrared space telescope? 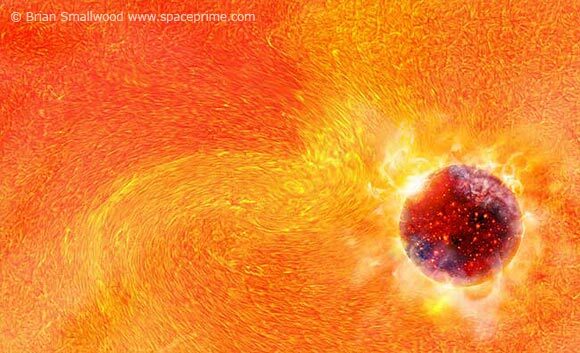 The animation below shows the stellar nursery IC 1396. It begins in optical wavelengths in the range of Hubble. Note that the cloud is nothing but a veil of darkness blotting out the background stars. 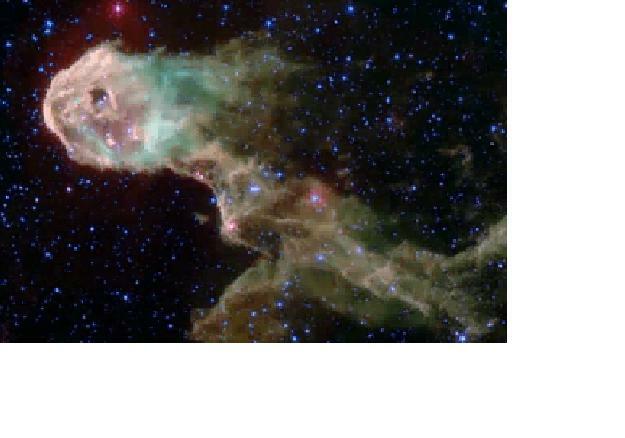 As we move into the infrared, we see the star formation region come to life. 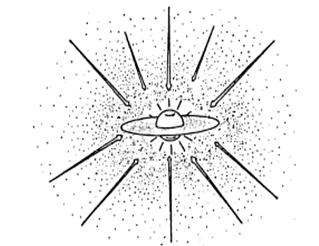 Q: What's the general process for creating stars and planets? 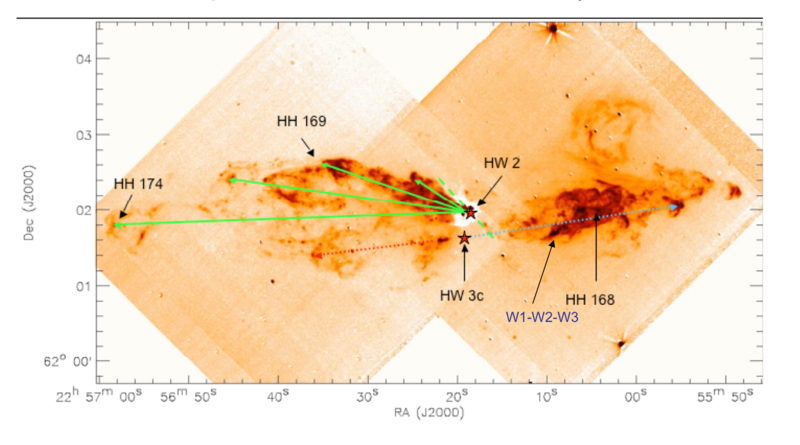 Imagine that in a small section of the galaxy lies a cloud of gas, made up of molecular hydrogen with some mix of other light molecules (Neufeld et al. 2006a), (Neufeld et al. 2006b). If some small part of that cloud is compressed, it may start to collapse on itself. As this ball of gas collapses to form a protostar, surrounded by an envelope of colder gas, the surrounding material is also mixed and pulled in (Watson et al. 2004). If this material has any initial spin, it will rotate even more quickly as it falls, conserving angular momentum. 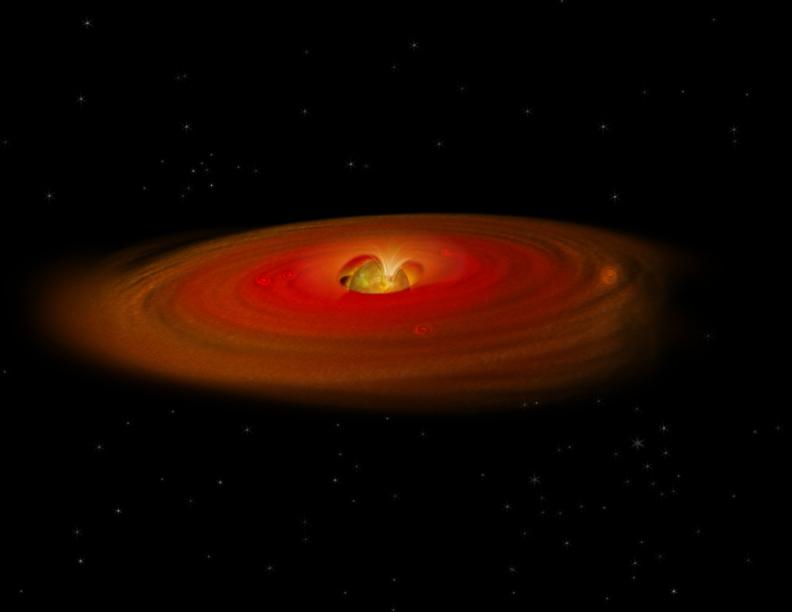 While the star is still growing to its final size, much of the surrounding material is coalescing into a relatively flat disk that is spinning about the central protostar, perhaps firing off bipolar jets into the ambient medium. Ice crystals bring in water and other molecules from the envelope to the disk in a violent cascading waterfall that vaporizes much of the incoming material and distributes it around the new circumstellar disk (Watson et al. 2007b), (Zasowski et al. 2008), (van Kempen et al. 2010), (Green et al. 2013b). Finally, the envelope has been more or less cleared from around the star and a spinning disk has formed. The disk grains collide and stick together in spots to form larger grains and crystalline structures, slowly building into planetessimals (Furlan et al. 2005b), (Sargent et al. 2006), (Watson et al. 2007a), (Sargent et al. 2008a), (Sargent et al. 2008b), (Furlan et al. 2008), (Sturm et al. 2010). 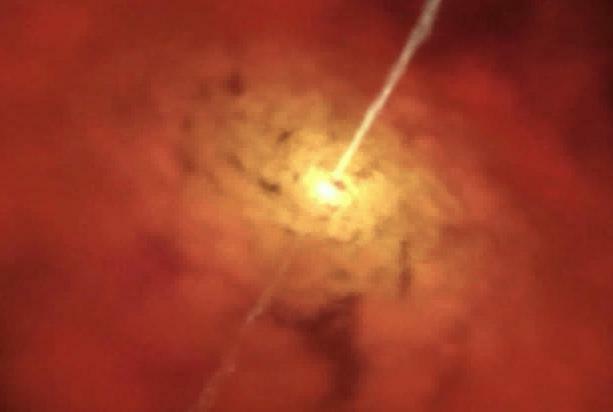 The central protostar grows, not steadily but in violent bursts and cascades (Green et al. 2006); Green et al. 2011b; Lee et al. (2011), Green et al. (2013a), (2013c) , Dunham et al. 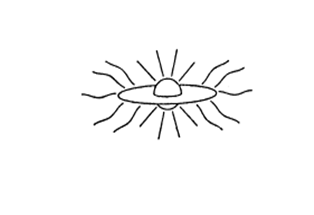 2012; fed by the material raining from the envelope onto the disk and spiralling through the disk into the star. As planets form and the disk is dissolved by radiation from the central protostar, portions of the disk are cleared out, leaving gaps and holes (Forrest et al. 2004), (Calvet et al. 2005), (D'Alessio et al. 2005). The disk which initially may have been flared like the bell of a trumpet, settles slowly onto a flat midplane and aggolomerates into bigger particles (Furlan et al. 2006). Finally the envelope and disk have almost dissipated and most of the planets have formed, although this stage may take tens of millions of years (Hartmann et al. 2005), (Uchida et al. 2004), (Furlan et al. 2007). If the central star has not built up enough mass, it will eventually stop shrinking and radiate away its remnant heat, becoming a brown dwarf (Furlan et al. 2005a). If it grows large enough, it will shrink until the core gets so hot that fusion of hydrogen into helium becomes commonplace, igniting a nuclear furnace that heats the star and its planetary system for millions or billions of years. At this stage the star is on the "main sequence," like our sun. 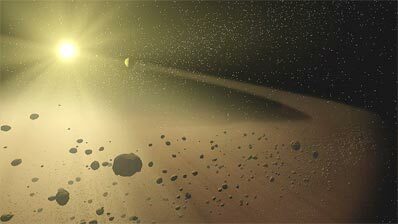 A remnant debris disk of dust may remain or even coalesce planets while the star is on the main sequence (Jura et al. 2004). After the star has burned most of the hydrogen in its core, it shrinks further, becoming denser and hotter. If it is massive enough, it will burn the helium as fuel. 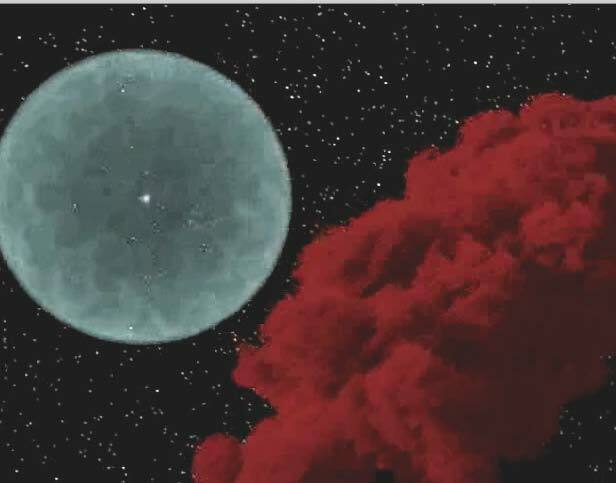 The outer portions of the star will start to puff out, perhaps enveloping some of the inner planets; in this stage the star is known as a red giant (Jura et al. 2006). When the helium has run out, the core of the star will contract even further, attempting to burn the new biproducts. Eventually, one of two things will happen. 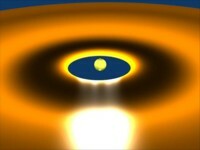 In the case of a lower mass star (like our sun) the core will become so dense that it stops shrinking. If the star is heavy enough, the core will continue to shrink and burn heavier and denser elements until the entire core has been burned into iron. In either case, the outer portion of the star will be blown off, perhaps forming a planetary nebula as it drifts from the central core. The central core will shrink, and this time there is no fuel burning to prop it up and halt the collapse. If the star has a relatively light core, it will eventually stop contracting because of electron degeneracy pressure, forming a white dwarf star. If it is a heavier core, this will not stop the contraction, and it requires a stronger pressure at an even larger density: neutron degeneracy pressure. At this point, the core is made up almost entirely of neutrons pressed against each other. 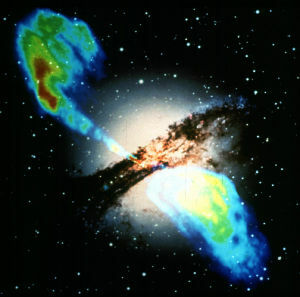 The resulting explosion of energy is so violent that it is released very rapidly; this is known as a supernova. Many of the heavier elements that were built up in the core are blown out during this explosion, seeding the interstellar medium. If even neutron degeneracy pressure fails to hold the core together, as is the case in the heaviest stars, the core completely collapses and becomes a black hole, an infinitely dense ball of matter from which even light cannot escape. Thinking back to the original cloud: where did the initial compression come from? 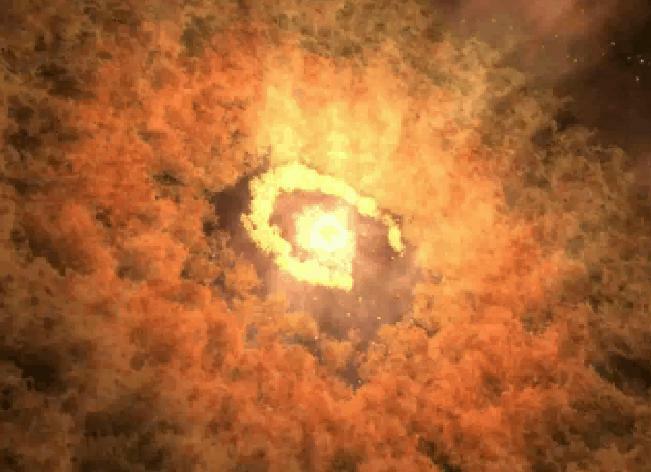 One possibility is that the shock from a dying star's supernova may cause a ripple to propagate through space, and when it compresses the cloud, star formation begins once again. 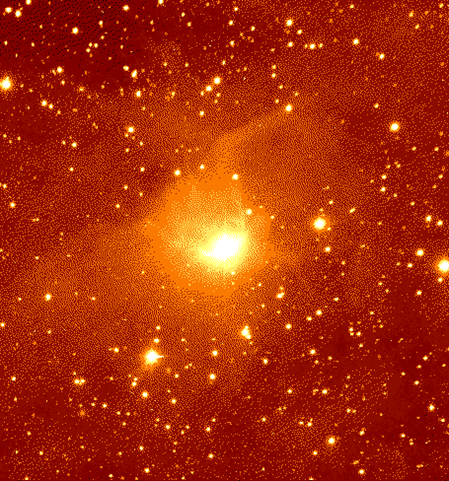 But another possibility is that high-mass young stars may stir up the molecular cloud around them. Young stars that are accreting large amounts of material fire off bipolar outflows that travel through the molecular cloud. 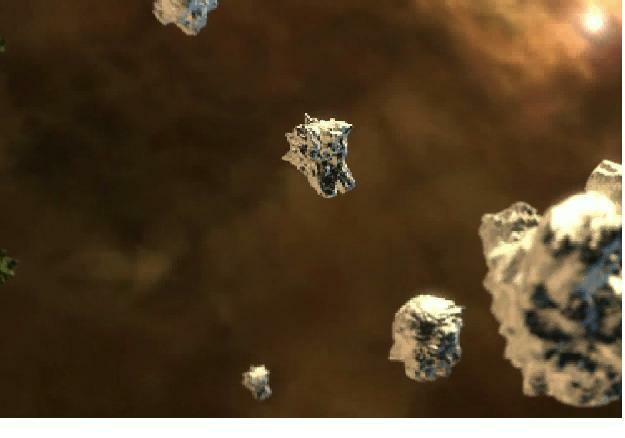 The outflow may ionize the molecular hydrogen as the shock passes by (My Thesis, Green 2009; Green et al. 2011a; Green et al. 2013d, in prep. (Maret et al. 2009). This page last updated 4 June 2013 by JDG | �2006-2014, Joel David Green. 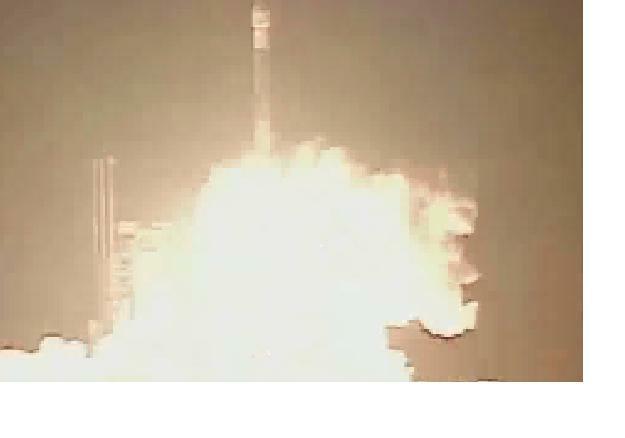 Animations provided courtesy of Robert Hurt and Tim Pyle, SSC.